NUREMBERG: Its Lesson For Today. Note to Scholars from Sandra Schulberg: This should be considered a preliminary inventory. It was prepared by Alex Niemczewski, and I have yet to verify certain dates and descriptions. It does not include dates/descriptions for an additional 300 pages of letters and reports written by Stuart Schulberg while on OSS assignment in Germany from June through December, 1945. Nor does it include letters, reports, files by Budd Schulberg during the same period. These materials serve as the basis for the The Celluloid Noose, the MS for which is still in progress. Description: telecom, request for Budd Schulberg to come to Berlin A.S.A.P. From: Chief, War Crimes Branch; Chief, Reorientation Branch? Description: telecom, Ulman is producer in charge, looking for cutter available A.S.A.P. Description: telecom, is there footage of sentencing? Description: telecom, request for Stuart Schulberg to come to Germany A.S.A.P. Description: Letter, current version of Nuremberg Trial emphasizes American input, may only want to show in U.S. Description: cable, when can we expect Schulberg? From: Charles A. Horsky, Counsel for Pare Lorentz Associates, Inc. 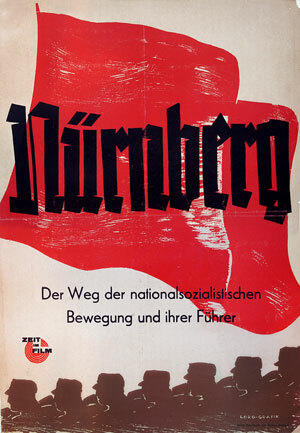 Description: article, “In New York,” The Mirror, Nuremberg film verboten by state dept.